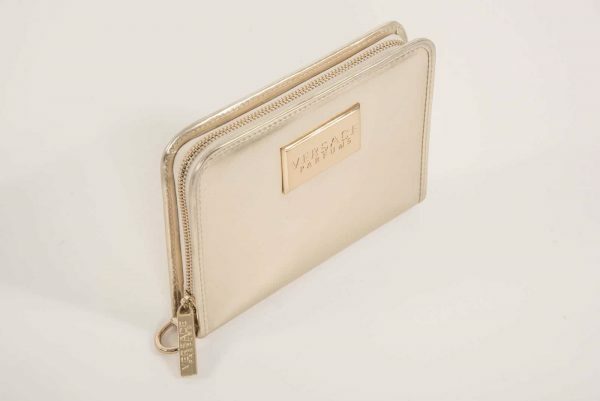 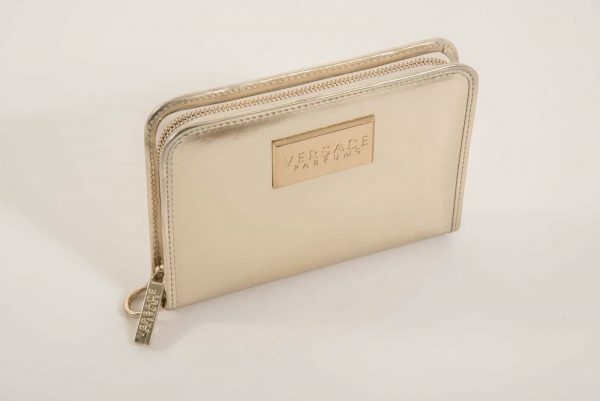 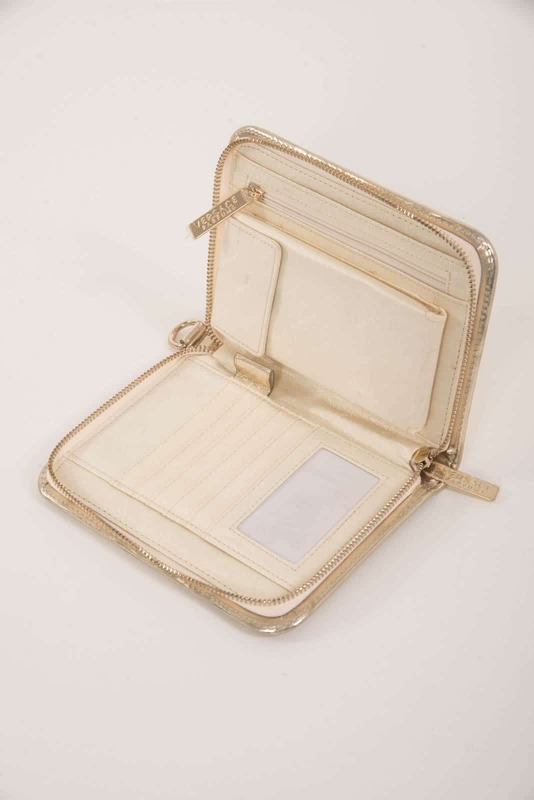 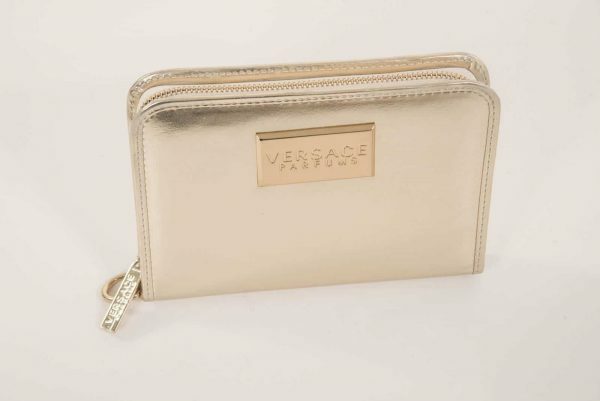 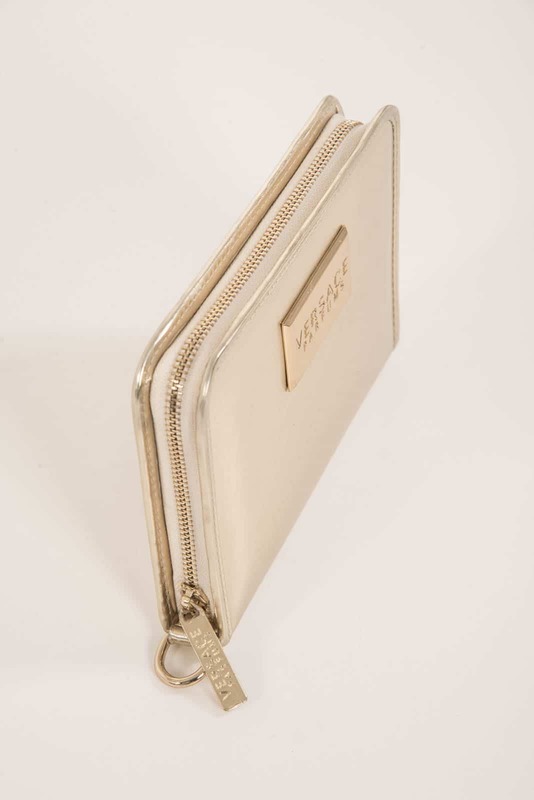 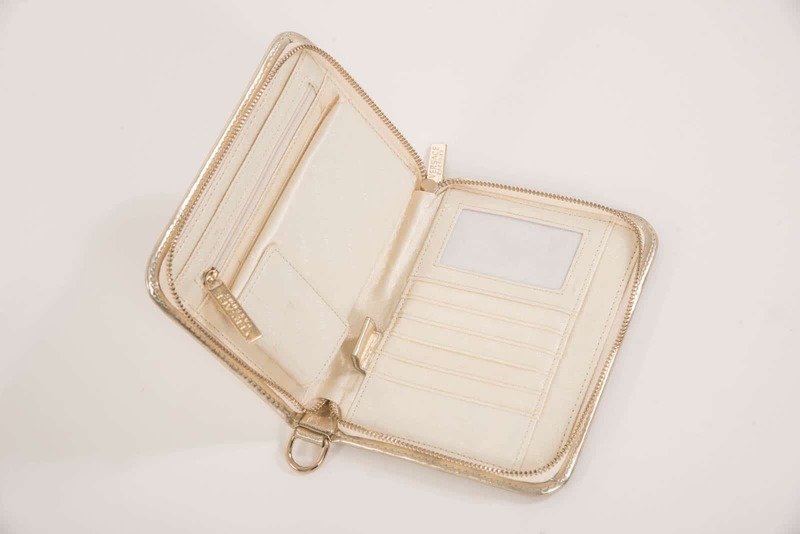 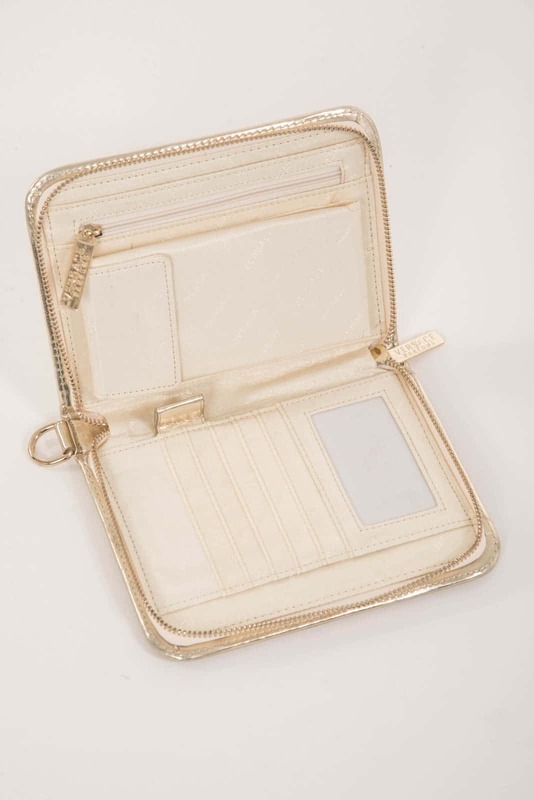 A Versace Wallet in gold with logo badge on the front and logo lining. 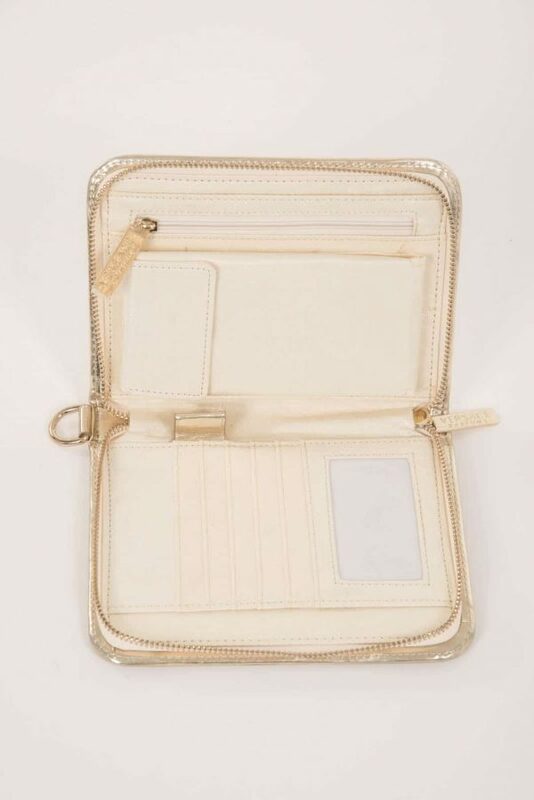 On the inside one side there is a slip pocket and 5 card holder pockets and a photo holder and on the other side 2 slip pockets, 1 zip fastening pocket and a popper closing long pocket that could take a pair of glasses and a pen holder in the middle and a zip closing and a ring on the outside to attach any strap. 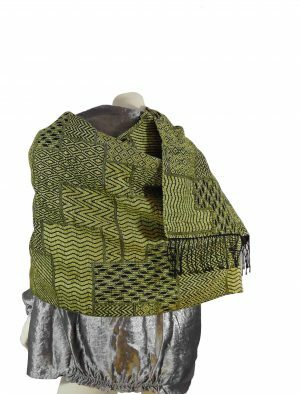 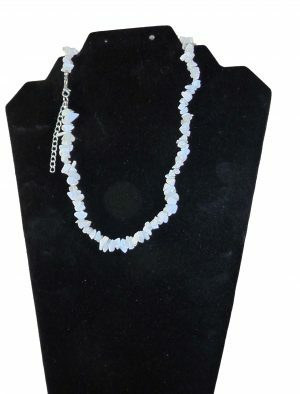 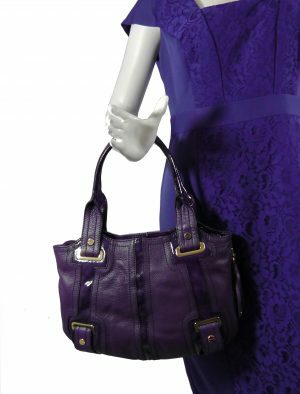 Size 7×5.5×1″.